sterling silver jewellery york fashion jewellery Sterling Silver Jewellery: Adjustable Grey Cord Drawstring Bracelet with Rose Design Sterling silver jewellery range of Fashion and Danon jewellery. This simple cord bracelet has a drawstring fastening so will fit every wrist. It's ideal for a child as it will grows as they do. 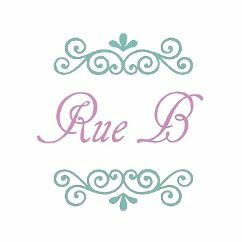 At Rue B all of our jewellery is hypoallergenic and nickel-free.